The current 20T sprocket on the RX-RD% on my Pashley is dished. Can I use flat sprockets or must I only use dished ones? The flat sprocket will fit perfectly well, but the dishing on your current one is likely to help with the chainline. I want to fit a new SA 5 Speed RXL-RD5 hub to my Pashley. My old WR pull chain hub has always slipped in first gear. I run this with a 24 tooth sprocket. 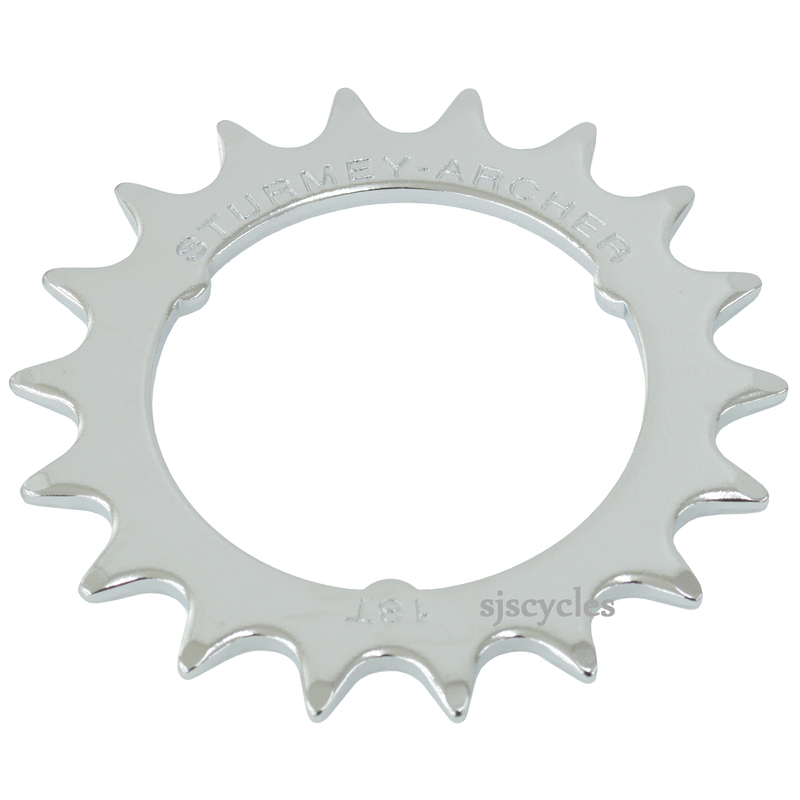 However, if I buy the new hub but can only fit an 18 tooth sprocket I might end up with my old faulty hub being a lower in gear 2 than the new one in gear 1. Does make sense to you? There are other sprockets available for use with the 5spd RX hubs that are larger than 18T there is a 19T (SJSC part 42153) and a 20T (SJSC part 42154).